Celebration Barbie has been an extremely popular series from Hallmark Ornaments. The story of Barbie with Hallmark Ornaments started back in 1993 with Holiday Barbie #1. The Celebration Barbie series did not start until 2000 with Celebration Barbie #1. When Barbie came back to Hallmark in 2015 they celebrated with this special Barbie set. This is where is all began, the first Hallmark Keepsake Ornament to display Barbie. The first in the Holiday Barbie series came out in 1993. Holiday Barbie #1 showcases beautiful Barbie in a stunning red gown. She is ready for a big night out! 2013 and 2014 Celebration Barbie Ornament Set…. In 2015, when the Barbie series came back to Hallmark Keepsake Ornaments, they released the 2013 and 2014 Celebration Barbie Ornament Set. This set showed off the two Celebration Barbies that were missed while Hallmark worked on getting the licensing agreement back with Mattel. The two Barbies look radiant in their gowns. The Celebration Barbie series started in 2000 with the release of Celebration Barbie #1. Barbie is radiant in an evening ensemble that celebrates the holiday season and the new century. Her gown shimmers like precious gold, layered over bouffant tulle netting. She wears a contrasting stole of white faux fur. Her long, beautiful hair is topped with a delicate crown and pulled softly away from her face. She carries a white, ornamental ball with golden numerals in tribute to the year 2000. There are so many Barbie Hallmark Ornaments that it’s hard to pick which ones to feature on here. Please check out our website http://www.hallmarkornaments.com to see them and the other Hallmark Keepsake Ornaments. Back to work I go! You should see how many boxes we have gone through the past two weeks! Its crazy! I’m not even going to go into how much box tape we have too! It is important to us to have your packages safe and secure. Have a terrific Tuesday everyone! With it being Tuesday, you know what that means!! Taco Tuesday for all of us elves. I cannot wait! Barbie has always been a popular Hallmark Keepsake Ornament series. In 2012 Hallmark lost the licensing agreement with Mattel and had to stop making the Barbie Hallmark Ornaments. 2012 was going to be the last year Hallmark Ornaments would make Barbie. It wasn’t just the Barbie Ornaments that they had to stop making, they had to stop other popular series like Hot Wheels, Fisher Price, and G.I. Joe. Thankfully an agreement was made and all of these started back in 2015. Since coming back many of the old series of Barbie Keepsake Ornaments have continued. Of course Hallmark Shopping Barbie knows just where to go when she wants to send the very best! The 2015, Hallmark Shopping Barbie is holding a purple shopping bag wearing a light pink skirt suit. Gorgeous Western Star Barbie is also from 2015 when Barbie came back to Hallmark Keepsake Ornaments. Barbie is dressed as a cowgirl is a beautiful her white and blue outfit with matching hat. The last of the 2015 Barbie Hallmark Keepsake Ornaments is Holiday Barbie Ornament #1. This is the first in the series and was inspired by the 2015 Holiday Barbie Doll. Each year this beautiful new series will feature a different Holiday Barbie doll. This Hallmark Keepsake Ornament is a must-have for collectors of all ages and the perfect way to celebrate the Barbie tradition of fabulous holiday fashions. Those are some beautiful Barbie Hallmark Ornaments! I know there are young girls and even some not so young girls that would love a Christmas tree filled with Hallmark Barbie Ornaments. We here at The Ornament Factory like to feature some of the NEW 2018 Hallmark Keepsake Ornaments. These ornaments are going to go fast so get your order in today. You can see the featured ornaments and more on our website http://www.hallmarkornaments.com . We are featuring Beauty and the Beast, Barbie’s sister Skipper, and Star Wars today. Tale As Old As Time….. The first featured Hallmark Ornament I would like to share is from a 1991 Disney classic, Beauty and the Beast. The, 2018 Cogsworth, Disney’s Beauty and the Beast, which is a limited edition will make any Beauty and Beast fan smile. Cogsworth on your Christmas tree with the other Beauty and the Beast Hallmark Keepsake Ornaments would be a Disney delight! Mattel’s came out with Skipper, Barbie’s little sister in 1964. Skipper is dressed for a day at the beach in her red and white swim suit. She comes in a replica of her original packaging. For all of the Barbie collectors, this would make a great addition to your collection! Here we have the 2018 Skipper Barbie Ornament that is a limited edition Hallmark Keepsake Ornament. May the Force be with you…..
2018 Millennium Falcon, is in the Star Wars Collection and is one of the Storytellers Hallmark Keepsake Ornaments. The ornament has interactive Light and Sound. Connect this ornament to Hallmark’s Keepsake Power Cord to see the continuous light effect. Press the button to watch it perform an exciting scene from Star Wars: A New Hope. These are just three of the 2018 Featured Hallmark Keepsake Ornaments from The Ornament Factory. 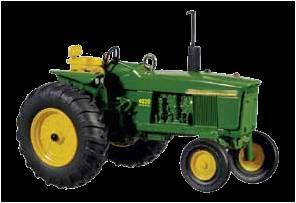 The rest of the 2018 Hallmark Keepsake Ornaments are on the website. Just like these three ornaments, there is something to everyone. Happy Tuesday, you know what that means! It’s Taco Tuesday! All of the elves will be having dinner together and enjoying tacos. Honestly, it is one of our favorite foods. Of course, we all like to add different topping to them. Hope you all have a great rest of your day! I have inventory to get done! The timeless beauty of Barbie is shown in the Hallmark Keepsake Ornament series. There are ornaments of all varieties of Barbie’s through the years. Hallmark has also made ornaments of special Barbie items. Barbie lives in a beautiful mansion call the Barbie Dream House. This was made into a Hallmark Keepsake Ornament in 1999. Barbie has a pink home with blue accents. It has a Victorian flavor along with a balcony on the second floor. When you look at the back of the Hallmark Ornament it shows the inside of the exquisite home. Hallmark turned many of Barbie’s accessories Keepsake Ornaments like that 1962 Hatbox. Barbie’s hat case is vinyl with a working zipper. The Hallmark Keepsake Ornaments are for trees of all sizes. The Barbie series has some miniature ornaments to help decorate the smaller trees for smaller areas. Barbie has a lot of shoes and that was commemorated in the 2003 Shopping for Shoes, Barbie miniature ornament. No girl ever has too many shoes, and Barbie doll is no exception! This adorable ornament set actually contains THREE PAIRS of Barbie doll’s favorites: PUMPS, WEDGES, and SLIDES! Each pair comes in its own shoe box, and all three boxes fit into her signature shopping bag. It’s a very fashionable way to decorate your holiday tree! Smart accessories add pizzazz to every Barbie doll ensemble. This fashionable set of ornaments features three classic handbags – The Plantation Belle “straw” bag, a flower-filled tote bag, and a chic black clutch. The handbags ACTUALLY OPEN! Barbie doll’s favorite sunglasses as well as a compact, necklace, gloves, comb and keys are also included! The 2004 Adding the Right Touch, Barbie Miniature set will help complete any miniature tree. The 1999 Silken Flame Barbie, Century Stamp is another one of the Hallmark Keepsake Ornaments in this timeless series. Celebrating Barbie’s 40th anniversary, this Hallmark Keepsake Ornament has the Silken Flame Barbie Doll pictured on a ceramic stamp with 33 cents printed for the price of postage. The stamp is framed with Barbie and 40th anniversary embossed in the metal frame. Barbie, the iconic doll, that children have played with for years. Hallmark Keepsake Ornaments created a collection of Barbie for everyone who has enjoyed Barbies. The Barbie Hallmark Keepsake Collection is one of the most popular collections Hallmark Ornaments has. There is a gap in the ornaments from 2012-2015 due to a licensing agreement but thankfully Barbie was able to make a return the Hallmark Ornaments. After the Barbie ornaments made their return in 2015, the Hallmark Holiday Barbie Collection started again for #1.This years Holiday Barbie Collection ornament is 2018 Holiday Barbie #4. 2018 brought the first Barbie tree topper. What a beautiful addition to your Hallmark Ornament Barbie Tree! Connect this tree topper to Hallmark’s power adapter (included) to see Barbie’s dress illuminate with one of two different colored continuous light effects. Plugs into a standard 120-volt wall outlet. Many people have memories of playing with Barbies or seeing other play with them and remember how beautiful Barbie is. A Hallmark Barbie Christmas tree would make any young girl or even a woman happy. There are so many Barbie Hallmark Ornaments to choose from! Picture with me……a dark room with a big green Christmas tree with white lights all over it. On the branches are beautiful Hallmark Barbie ornaments. The Barbies are dressed in all sorts of colors. Some of them in elaborate dresses, some dressed to play, and some dressed professional. On the top of the tree is the beautiful, elegant, almost angelic Barbie glowing atop of the tree. Do you know a child, sister, or friend who would enjoy that? Maybe you would enjoy it. You can find the Hallmark Keepsake Ornaments you need at the Ornament Factory. All of our happy elves are ready to assist you making the perfect Barbie tree! Be sure to shop at http://www.hallmarkornaments.com . Ever since I can remember my entire family has always had a Christmas tree that is filled with Hallmark ornaments. The tree was always special because of the variety of ornaments and each meant something special to someone in my family. I had two brothers and two sisters so Christmas was always exciting for the family. As part of our tradition, we would always get the daughter and son ornaments as well as the an ornament from a series that was our own collection. My collection is the Barbie Hallmark ornament series. Each year, I look forward to seeing what the new ornament will be there are always favorites and each year you compare it to the last. The ornaments from Hallmark are a tradition in my family and is a tradition that will be carried on with my family of my own someday and I can’t wait to put my new barbie ornament on the tree this year. One of my favorites is the first ornament in the series. This classic Barbie dressed in her black and white striped swimsuit was released in 1994 and became the first of many in the collection. This was one of my first ornaments that I was given. I remember hanging her up for the first time – her golden hair shined underneath the yellow lights. I put her next to my brother’s Babe Ruth ornament. I loved her so much that the next year, I asked for her brunette sister. My second favorite Barbie ornament I got a few years later in 2000. She was dressed in a flowing metallic silver dress that gleamed in the Christmas lights. Her blonde hair was soft and I’d always brush it perfectly before I hung her up. My younger sister was always so jealous of this ornament and I’d always catch her playing with it on Christmas Eve. My memories of Hallmark’s Christmas Barbie ornaments will always have a treasured spot in my heart. The entire Barbie Hallmark series brought me so much happiness each year. I can’t wait till I have daughters of my own and I can pass these keepsakes on to them and tell them stories about each of them. I can only hope that they will take as much joy in hanging each one carefully on the tree as I did when I was a little girl. Welcome to The Ornament Factory’s new blog! We thought we’d start things off by giving you a sneak peak of the outstanding line-up of Hallmark Keepsake Ornaments coming out in 2011, based on the recently released 2011 Hallmark Dreambook. New editions for many of the top Christmas ornament series will be available once again! 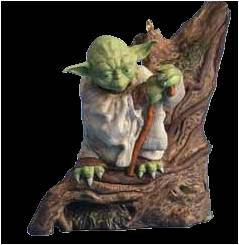 Jedi Master Yoda is the 15th in the Star Wars™ ornament series, and the 2011 edition will include some of Yoda’s great words of wisdom. You can also choose from Showdown at the Cantina, featuring Han Solo and Greedo, and Slave I, Boba Fett’s famed patrol and attack craft. All three of these ornaments are battery operated. The Star Trek™ ornament series from Hallmark is another highly anticipated series that may be at the top of your Christmas ornament list for this year. Ornaments in this series will include Spock and Dr. McCoy in the famous “Mirror, Mirror” episode, the Romulan Bird-of-Prey™, and Spock™, the second in the Star Trek Legends ornament series. 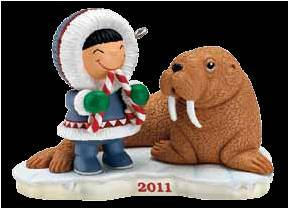 And don’t forget, Hallmark’s Frosty Friends series, the LONGEST running Hallmark ornament series, with #32 being released in 2011. Last but not least, we’re excited to announce that Hallmark will be unveiling FOUR NEW ornament series this year, including the 12 Days of Christmas, Once Upon a Christmas, Angels Around the World and Up. With so many ideas to decorate your Christmas tree this season, be sure to start your shopping early! Don’t let your favorite Hallmark ornaments slip away!